If you were to ask me what sort of insulin therapy routine I'm using these days, I would likely tell you I'm on MDIIIII... may never wear my t:slim again. I'm just really, really loving not being tethered to a machine right now. Before I first started on an insulin pump 11 years ago, I had been using Lantus for my basal (long-acting) insulin. My insulin resistance while sleeping, combined with some lovely dawn phenomenon, made for quite the challenge; one that Lantus never really met head-on for me - which had made me a little hesitant about ditching therapy that could be so easily tailored with custom basal rate patterns. Tresiba, on the other hand, has been working really well for me. And when I mean "working really well", I don't mean that my blood sugars are always in range - they aren't. It does mean, however, that they seem to swing a little less violently than I remember in my pre-pump days. My overnight readings don't see that gradual rise in the early mornings; if I'm in range, when I go to bed, I generally stay there (high-fat foods and/or alcohol still in my system, pending). If I'm high when I go to bed, I stay just that high. 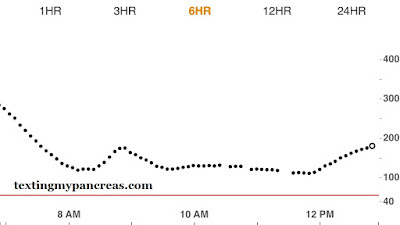 I marvel when reviewing my Dexcom graphs each morning. WHAT IS THIS WITCHCRAFT. Previously when eating a higher fat meal, I'd use the extended bolus feature on my insulin pump to deliver a larger percentage up front, with the remaining dose spread out over a large period of time (two or three hours). On MDI, there are really just two options: give all of your dose at once up front and cross your fingers, or split up the dose and take it in two parts (one now, one later). Previously, I would have had to do the two-dose method... but on Tresiba, I've been just taking all of it up front, and somehow... it just works out. I don't know how. It just does. YDMV. I'm not chained to the clock with my basal insulin, which had always been a struggle for me to remember (and then take the time to actually dose it). Because of some version of sorcery, Tresiba doesn't have to be dosed exactly 24 hours apart. They claim you can actually go up to 42 hours between doses... a claim I haven't fully tested, but I've certainly gone 28 hours in between, and didn't notice any ill effects from the delay. And after 31 years of T1D and approximately 67,000 needle pokes, a few more each day really doesn't faze me. Taking A Break From My Insulin Pump. I really don't know how to start this, because I have these very strongly juxtaposed feelings of "I am so over my insulin pump and all of its needs and now I'm having a blog name existential crisis" and "I am so lucky to even have an insulin pump and why am I complaining about this". So let's just start right off the bat with me saying that I recognize how #firstworldproblems it is to be tired of such an amazing, and for some inaccessible, medical device. I get it. Privilege, checked. 2005 was the last time I was on MDI (multiple daily injections), which means I continuously wore some version of an insulin pump for 11 years before taking my first pump break. There were a few things that contributed to my decision to shelve my t:slim after almost 3 years of use, and those reasons gradually began piling one on top of the other so that I eventually found myself smothered under an irritating, itchy dogpile of "UGH" that I could not help but shimmy myself out from under. I'll also preface all of the explain-y business by saying that I made this move on my own. (Thoughts and opinions are all my own, blah blah blah, see disclosure policy.) I did attend Novo Nordisk's "Future of Diabetes" summit thing in April, and they did talk about Tresiba a bit then. At the time, I had zero interest in MDI so I think I just sort of put the conversation in my back pocket like "oh, that's nice"... but I'm glad to have had that little bit of a reference point to inform my recent choice. I imagine all of this ::gestures grandly:: brings up a few questions, probably. Are you still wearing your CGM, or have all robot parts banished from the land? I am definitely still wearing my Dexcom G5. I think the safety net my CGM data provides me is why I feel so comfortable going back to MDI for a while. I think just got reeeeeeeal tired of... everything? about pumping. Like, one annoying thing would happen, and I'd say "oh, fine, it's just this one thing and I can handle that", but then something else would happen, and I'd be all, "well, nothing is perfect, I just need to deal with this", and then more things, and "okay this is pretty irritating, but what other choice do I have", until one day it just sort of dawned on me that I do have another choice. I don't have to just live with this part of my life with diabetes; I could opt out of wearing a pancreas made of metal and science on my hip. I could say that this isn't good enough for me anymore. I could eliminate a lot of this headache, even if it opens the door for other ones. I could go off the grid, as it were. It felt... liberating. Three things! A few people I know and trust have been using Novo Nordisk's Tresiba and really like it. I knew Lantus didn't work all that well for me back in the day, so truthfully I don't think I would have been so "jump in with both feet" about all this if I didn't have a better long-acting insulin option. Additionally, I noticed that our new insurance plan has Tresiba on their formulary list, so the cost is manageable for me. Secondly, I switched from Humalog to Novolog. ("Novolog REEEADAAAAY!" doesn't have quite the same ring.) This was 100% because of the aforementioned insurance plan switch - I would have had to put up a fight to stay on Humalog. I had never tried Novolog, so I thought I'd give it a go and see if the fight was worth it. So far, hasn't hasn't caused any adverse effects. And third, I'm using an app to keep track of everything. 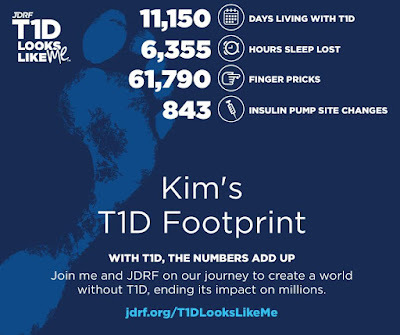 Part of the appeal of an insulin pump originally was that it would do a lot of the logging for me, and also remember all of the math-y things specific to that time of day, which I'm bad at doing when left to my own devices of not wearing...devices. I know I know; I'm sorry. Still cringing at myself. It also has a lock screen push notification to remind me to take my basal insulin, which is gold. Full list of features here. Seriously, I am loving this app. It's easily the most expensive app I've ever purchased, but it has been money well spent. I took my first Tresiba dose last week, and so far... it's been working surprisingly well. I've always needed an amount of insulin overnight that can be best described as "a truckload", so I was worried about running higher on Tresiba while sleeping, but so far... not the case. (Ignore the first hour of the above graph... that was a me-forgetting-to-bolus-for-a-midnight-snack thing, not a long-acting insulin thing.) I am pleasantly surprised. Even my post-breakfast spikes have been pummeled into submission. Whaaaaa? How long will this pump break last? I honestly have no idea. I just know that I'm really enjoying being untethered... at least until something better comes along. 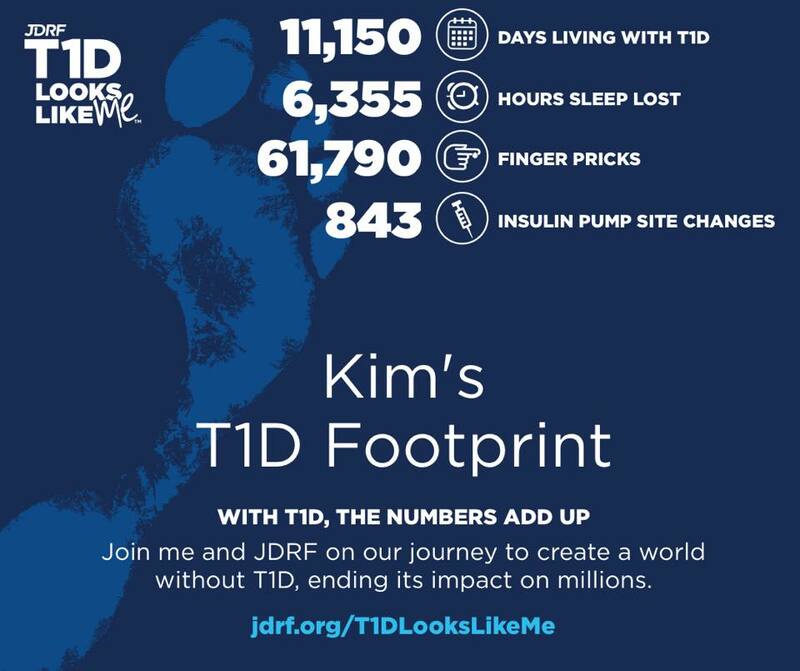 Diabetes Awareness Month: My T1D Footprint. I'm a mom of two. That's... wow. As it turns out, I didn't get the seven more days of pregnancy that I was hoping for. I got two. The last biophysical profile ("BPP" if you like acronyms) I received suggested that my amniotic fluid level had gone slightly north of the normal range. I found out this is not cool because that means that when your pregnancy is already technically full-term and you are dealing with crazy insulin resistance and trying to keep your blood pressure down, your delivering OB leaves you a voicemail after consulting with your high-risk one which essentially says "hey, just wondering what you thought about having a baby today" and then you frantically find childcare for your toddler, grab your bags, and go have a c-section that very night even though you weren't mentally prepared for it just yet. Or, you know, that was my experience. With Rabbit, we tried inducing labor. When that didn't work, we went the route of emergency c-section. I think the hours of labor prior to surgery were a large part of why that surgery was so hard for me to recover from, so I wasn't really looking to relive that scenario this time around. I knew that the result would likely be the same - this baby was measuring larger than my first had been, plus I was one more week pregnant when I delivered. I'm not a big risk-taker on matters like these, so I was totally fine with scheduling a c-section (and so were my doctors). New evening plans: it's baby time. The whole process was way less stressful than the first time - I guess because it wasn't an "emergency"? It helps to know how the whole thing goes down already. As for diabetes, I opted to keep my insulin pump connected to me, rather than have an IV for insulin. I did the insulin IV option with Rabbit since we didn't know how long labor would last and I didn't want to be worrying about pump settings while having contractions - but with a scheduled surgery, I knew I'd be back "on" in a few hours and didn't want to hassle with an extra IV line. I wish I could say that I stayed totally in range throughout the whole procedure, but that's a big ol' bucket of nope. We had to administer a couple of partial doses of IV glucose as we prepped me for surgery - the last delivered a few minutes before my son was. Bear didn't have the low blood sugar issues in the first 24 hours of life that his sister did. His BG was low right after delivery, but resolved itself within a few hours. I was somehow able to stand up within 24 hours of surgery and was walking around within 48 hours, which, what, how. This recovery has been SO MUCH BETTER than my first. It has not taken nearly as long to be able to move around without pain, and I actually feel about 80% of the way to the "normal" I felt prior to this pregnancy, now that I'm two months out. Again, what. I hope you'll forgive me that I'll continue to write less here. I'm not disappearing, but I am absolutely reallocating my time. 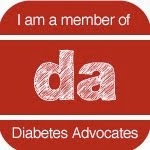 Diabetes continues to challenge me, but it isn't my focus in my life right now. You can probably guess what is. Hi. I'm probably having a baby in 7 days. First pregnancy: relentless lows. Second pregnancy: "wtf is even happening right now" highs and insulin resistance. All the time, even in the beginning. Current insulin pump infusion speed can best be described as "fire hose", but at least things have evened out significantly. My current insulin needs are very similar to what I experienced with Rabbit at the end of the third trimester; the ratios and rates are RIDICULOUS (like, you guys, my insulin-to-carb ratio during part of the day is 1:1 and that is not a typo), but they work, so do what you gotta do right? First pregnancy: mild pre-eclampsia showed up during week 36, putting me on modified bedrest for the last week and a half of my pregnancy. Second pregnancy: no sign of it. I've had a few errant BP readings, but when they recheck me I've been "back in range", so maybe they should just let me sit and breathe for a second, instead of strapping the BP cuff on as soon as I sit down? I've never understood the logic of that strategy. "I know you just told me that you get short of breath with any kind of activity and I just had you walk down a couple of hallways after several minutes of hospital navigating, but let's go ahead and check your blood pressure right now and be surprised when it reads higher than normal". First pregnancy: my doctor offices were all over the literal map, with some appointments requiring a couple of hours of drive time to attend. Second pregnancy: every doctor is in the SAME HOSPITAL BUILDING HALLELUJAH THANK YOU JESUS. Now I just drive to the same place for everything and it's so freaking easy I could cry. Speaking of locations, we also moved last November to a new house that could better accommodate our growing family. I was around 6 months pregnant and apparently still had energy and could move around like a normal human being... I hardly remember feeling that way now, but it seems to have worked out. First pregnancy: delivered at 37 weeks, 4 days. Second pregnancy: still hanging on at 38 weeks, and unless the little dude has other ideas, we'll make it to 39 weeks. Fingers crossed. I've been taking a bit of a bloggy hiatus. Although it felt weird at first to not be blogging every day/week, it's actually become pretty freeing. I've been able to spend more time with family, focus more at work, and the nights I would have stayed up late to write on my own site or keep up on other blogs, I've been going to bed earlier. All of those are pluses for me, sitting squarely in the "good for my health" column. I do miss connecting with this community in the ways I used to. I miss knowing what my friends are up to. I miss the random connections and uplifting camaraderie. I miss being up-to-date on every FDA filing and approval; every piece of diabetes legislation; every #dsma conversation. I miss the impromptu, softly spoken calls to action that morphed into something much bigger. I miss you guys, period. I don't think I'll be returning to my former participation level; at least not soon. I'm juggling a lot of responsibilities at the moment, and this part of my life is where I can "opt out" for a while. I want to especially blog during these next six months, but we'll see what time and energy allows. Why the next six months? Our superhero is getting a sidekick. Baby Vlasnik #2 is due in February. Disclosure right up front: the shoe company Vionic contacted me a few weeks back and instead of me immediately deleting their email like I do with most PR pitches, I was excited - I really love the two pairs of Vionic shoes I already own. They asked if they could send me a pair of their orthotic support shoes or sandals, and I picked out these sandals to try out. They also asked that I review them here, though they did not ask me to link back to their site or say anything specific. This is that review. Here's a fun thing that has happened to me: sometime in late 2013, I started having some really wicked pain in the arch/heel area of my right foot. Like, out of nowhere, shooting pain, OMG, what is wrong with my foot kind of stuff. I would get out of bed in the morning and have to limp my way around until my foot "warmed up", which (I realized later) magically happened shortly after I put shoes on for the day. I Googled things, like one does, and terms like "Plantar fasciitis" came up. I'm not saying that's what I have for sure - because I'm not a doctor, nor have I seen one for this specific issue (though when I told my endocrinologist about my symptoms, she was all "Yeah, it's probably that") - but I am saying that it could kind of maybe be that because my situation seems to fit all of the criteria. It took me several months to really do anything differently, but at the end of last summer I finally decided I should probably stop wearing shoes with zero legit arch support (cough) and see if some more supportive shoes would do anything. I asked my Facebook friends what they'd recommend, and Alanna came through with a solid recommendation for Vionic shoes. I ordered a pair of ballet flats and you guys, it was like a revelation. They have orthotic support! They aren't ugly! I now have three pairs (oh hai) and my foot is so much happier! I've never been a big fan of high heels or really any kind of shoe I can't just slip on... but as it turns out, wearing something with good arch support needs to be one of my criteria going forward, too. Aside from a little bit of itchiness caused by the underside of the straps on these, they're really comfortable for me. So, hooray for responsible adult footwear that can still look cute, is my point. Healthevoices is a first-ever conference created specifically for online health advocates and focus(es) on strengthening online communities; providing valuable insights and education that will lead to stronger networks and empowered health communities. That's pretty ambitious (how do they know their insights are valuable to me? ), but I'm hoping it's mostly true. I'm looking forward to reconnecting with friends and meeting new ones, and learning some things along the way. Additionally, I want to disclose that my costs to attend this conference are being covered by Janssen. That means hotel costs, flights, most of the meals, and transportation between the airport and the hotel are all being covered for all attendees. So, that's a thing. And I'll be using the event's hashtag, #HealthEVoices15, for the next few days, in case you got curious. Dexcom Share Receiver + Share2 App + iPhone Health App. You know that thing where you start a new job and you also have a toddler and you just aren't making time to blog much anymore because any free time you have, you don't want to spend in front of a computer? That! That thing! And also the thing were you find a free dress pattern linked on Pinterest and you get addicted to making the same dress over and over for said toddler, and do that instead of blogging? Also that thing! Let me back up a bit. I've been using some version of the Dexcom CGM since 2009 (holler, Seven Plus) and the information, education, and confidence that this technology gives me is incredible. (Super serious side note: has anyone else seen the Sesame Street video with Adam Sandler? Every time I see the word "incredible" now, I think "incredib-ELMO!" #toddlerlife) But seriously... if I had to pick between a CGM or an insulin pump, I'd pick CGM every time. More data about what my BGs are doing equals less risk for me when it comes to sleep, exercise, alcohol, uncharted food adventures... everything that's part of living a LIFE is on the list, so this little device has become pretty important to me. Which makes it even more baffling that for the past... a long time... 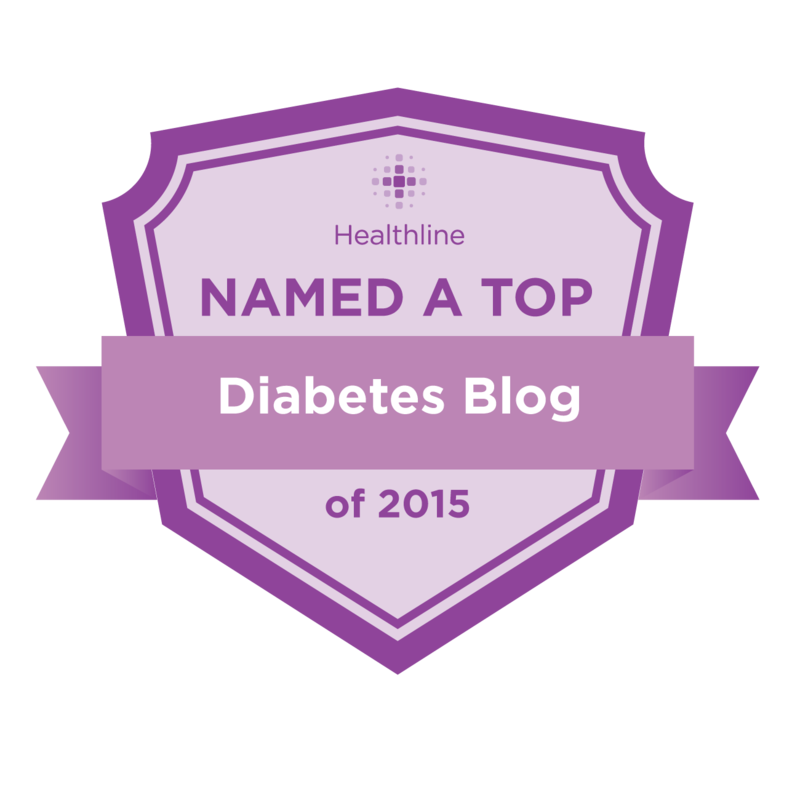 I haven't been on top of my diabetes management game. I've been wearing my insulin pump, but I'm not making the incremental adjustments to basal rates on my own in between endo appointments, like I'd done in the past. I hadn't been testing more than a couple of times a day, even though I had all of the equipment with which to do that a lot more often. And even though I still wear my CGM constantly, I haven't been checking the receiver as frequently as I historically have. I was finding myself going through a whole morning at work and realizing once I left for lunch that my receiver had been in my purse, untouched, for that whole time. So when the word came out that Dexcom's bluetooth-enabled receiver (which corresponds with an iPhone app) had been FDA-approved, I placed an order. Maybe a change of "scenery" would help. And even though I wouldn't be using its namesake feature - actually sharing my CGM data with other people, through the Follow app - I thought I might find value in the ability to check my BG from my phone, because how cool is that, and I am absolutely a fan of any little incremental improvement that makes me feel better about doing something I hate. The novelty works for me. Now that my CGM data is available on my phone, I'm paying a lot more attention to it again. Which means I'm paying more attention to diabetes again, and that's a really good thing. But you know what I just discovered today after a co-worker showed me what she was tracking with the Health app, and it got my brain ticking? The Dexcom Share2 app can share data with the iPhone Health app. Which means I can see multiple days, weeks, or months worth of Dexcom data in one tap. Here's what I had to start with, and here's how I got it to "go". I don't work for Dexcom (my disclaimer policy as it relates to Dexcom is here), so I don't really know which of these things is required and which isn't, so I'm just going to tell you everything and hopefully it works for you. I also couldn't find any information on Dexcom's website on how to do this sync, which I think is totally weird, so in the interest of collective knowledge I'll share what I did here. I'm calling this tutorial Montell Jordan because ::sings:: THIS IS HOW WE DO IT. What I already had: The Dexcom G4 continuous glucose monitoring system with the adult version of the Share receiver (there's a pediatric version, and I can't confirm how/if this still works with that one), the Dexcom Share2 app, an iPhone with the Health app installed and bluetooth enabled, and a sandwich. What you don't actually need: The sandwich, unless you're hungry and then you should totally get a sandwich. What I did: I installed the Share2 app on my phone a couple of weeks ago, so that was already all synced up. I went into the Health app, and if I'm remembering my steps right (it all happened so fast!) I tapped "Health Data", then "All", then "Blood Glucose". At some point I also was in the "Sources" tab on the bottom and Dexcom was a choice I could select. Then I chose "Allow Dexcom to Write Data". I really have no memory of the order in which I did these steps - this is why I'm not a technology writer, you guys. And if you figure out the right order of steps and want to share them below in the comments, that would be - wait for it - incredib-ELMO. UPDATE: From reader Chris: "The missing steps: In the Share 2 app, go to "Account" and then click on "Health". 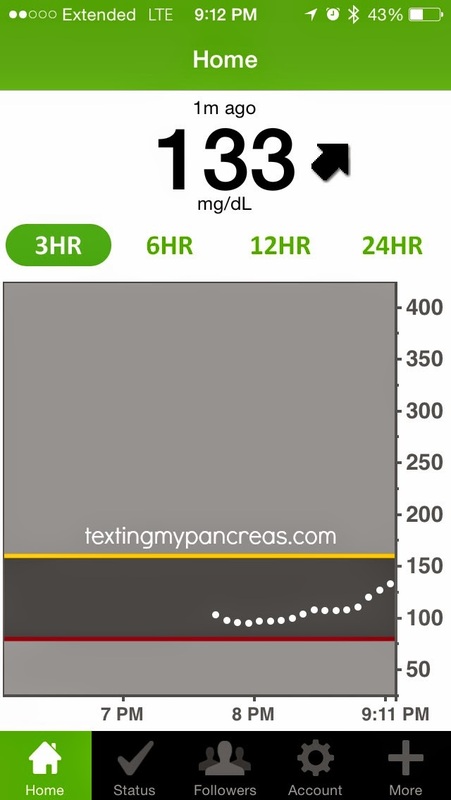 This will take you to a screen where you can enable the Health app to access Dexcom data. After enabling, the data will appear in the Health app as you describe." In case anyone wondered if stress has an impact on BG levels.